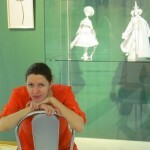 Talented artist and designer Asya Kozina works hard, conducts master classes and regularly participates in national and international art exhibitions. 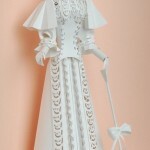 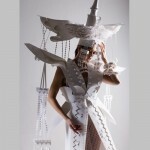 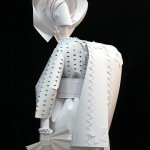 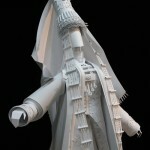 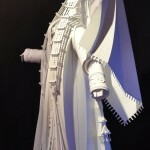 Noteworthy, in 2007 she opened her first personal exhibition of paper sculptures «White Passion» in Cherkassy Art Museum. 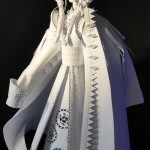 Then followed some more exhibitions – “Kingdom of dolls”, “The Evolution of Christmas tree decorations” (the State Museum of toys, Kiev) and “People and dolls” in Surgut Art Museum. 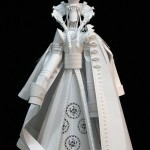 The paper dresses were inspired by French rococo and Baroque. 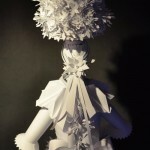 Asya Kozina works with such art techniques as creasing, folding, cutting, and gluing. 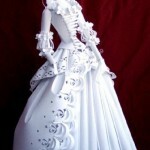 This may also include quilling and applique. 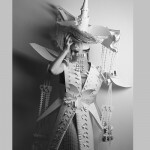 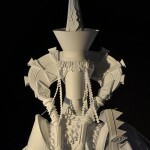 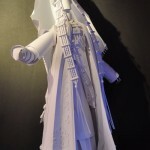 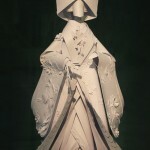 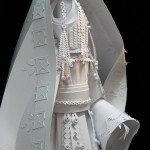 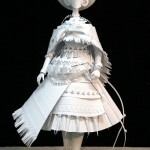 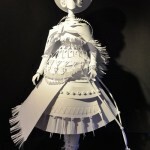 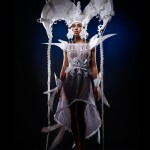 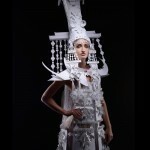 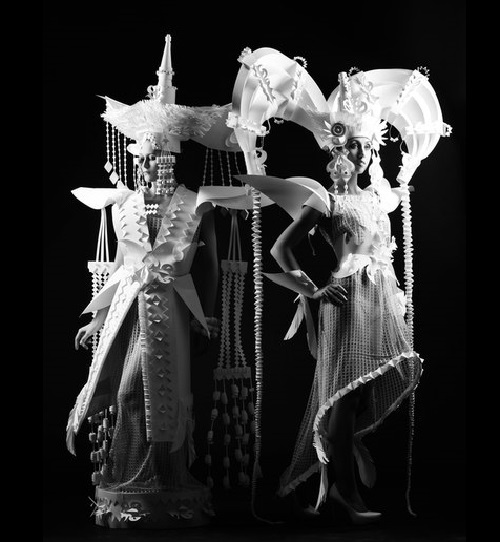 In her paper sculptures she successfully mixes various techniques. 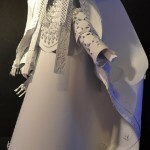 To create such artwork is a difficult process. 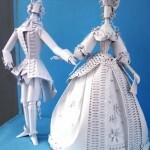 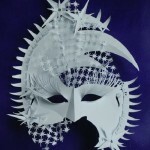 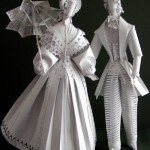 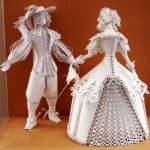 In fact, it may take from 1-2 weeks to sometimes months to create one paper sculpture.